The thunder rolled in with breakfast and the rain came down like pouring milk into a cereal bowl. But of course! Play-Doh, board games, and movies on rainy days. Crunchy old Play-Doh pieces and smooshy new colors fresh from the can litter my kitchen floor; it is a rainbow mess. I watch all the little pieces embedding themself into the linoleum. I try to ignore the mess and enjoy the fun. “Collin, you are doing such a good job,” and I truly am amazed. His chubby little two-year old hands roll small pieces into little snakes. His stubby fingers roll pieces into a ball, as if he was rolling a booger. I am impressed because he usually just throws it all on the floor and is more entertained with opening and closing the lids. “I think we can find you a spatula,” and we dig through the kitchen gadget drawer. Bradley is building a large something right on the spatula. I am making a duck and Mac and Cheese at the same time. I also have to remove the dog because he is trying to eat the Play-Doh. And also Collin is trying to feed it to him. That would be a lot of rainbow crap in the backyard. Gotta love multi-tasking. 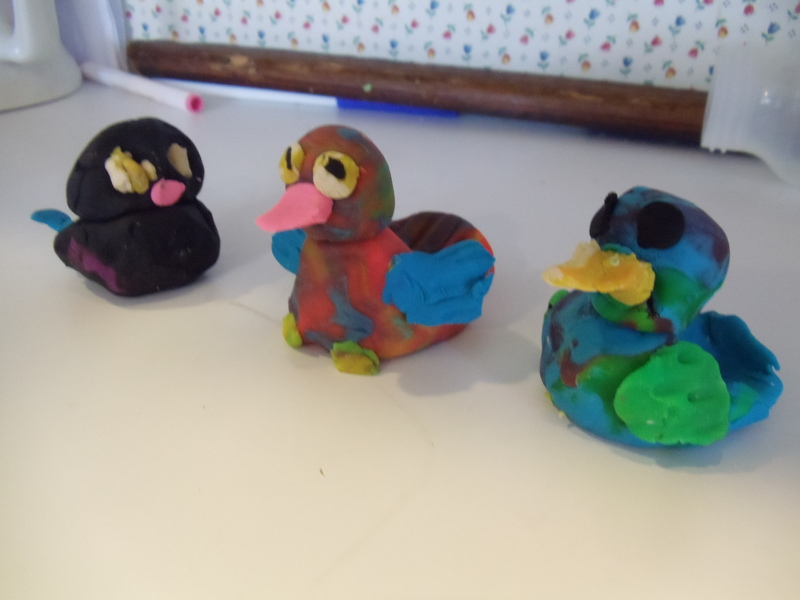 Bradley decides to make a duck, too. I think he did a good job. It is amazing what you can do with two balls of Play-Doh for the body and head, and a few other small scraps for the accessories. I have to say, Bradley and I should work for Play-Doh. Our creations rock. 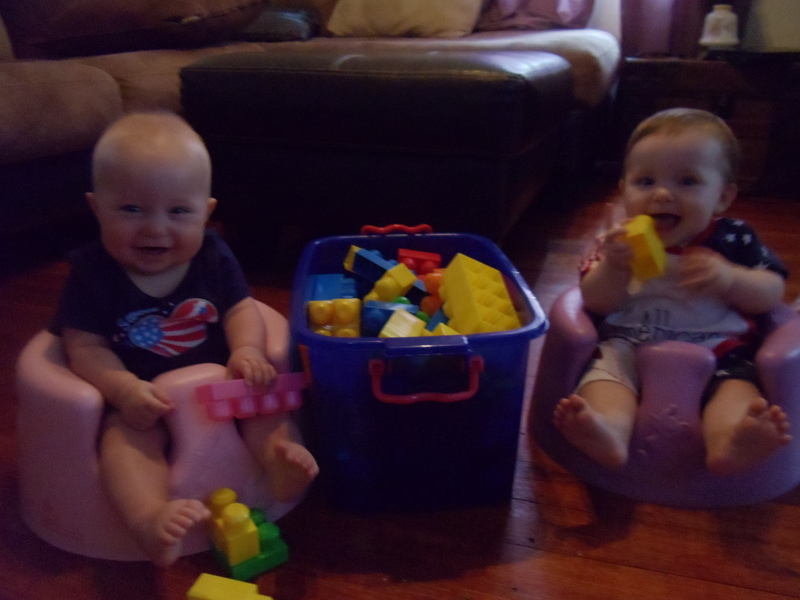 To keep the girls busy I put the tub of Legos between them and they are busy little bees. It’s the little things that entertain my kids. 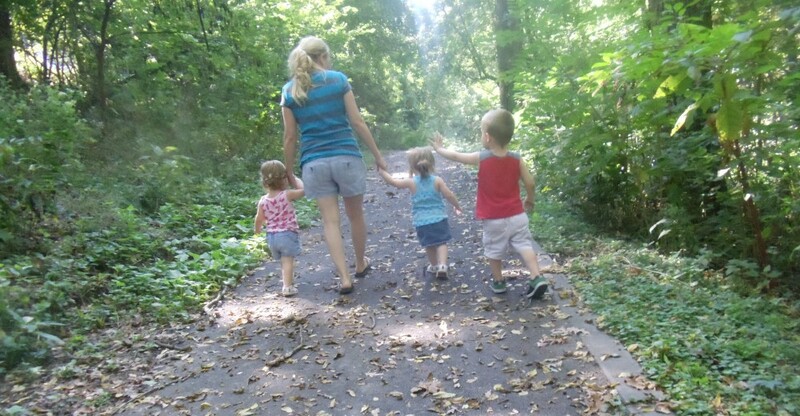 This entry was posted in Play-Doh and tagged Legos, Play-Doh, rainy day by amandastclair. Bookmark the permalink.